The App Updater is now using LZMA compression and SHA384 for signing. The release of builds taking advantage of this should be unthrottled today. So far, complete update files are reduced from 19-21%. Three new Test Pilot experiments launched today! Voice Fill allows you to do web searches with your voice and your microphone! Notes gives you a notepad in your sidebar! Send allows you to share file upload links that automatically self-destruct after the first download! You can now put items that are in the page action menu in the URL bar permanently! daleharvey updated us to delicious new dark theme colors. New animations for bookmarking and Pocket’ing! 🌟Luciano I tweaked the size and the style of the Firefox Accounts avatar in about:preferences! 🌟Nicolas Ouellet-Payeur made it so that we always wrap thrown strings with Error objects in our Sync code! Warnings are now displayed from startup of an extension installed via about:debugging. The devtools.panels.elements.onSelectionChanged event is now supported. We’ve started landing parts of the browsingData API on Android including settings and removeCookies. Improved WebExtensions performance by storing and transferring schema JSON in structured clone blobs. Added a new API to allow extensions to add a preface to the window title. Extensions can now add an item to the “Tools” menu in a manner similar to how extensions add items to the context menu. Tab objects returned from an API call now include a lastAccessed property. Content process preallocator has been disabled while the team coordinates with the Activity Stream team on the preloaded about:newtab browser. 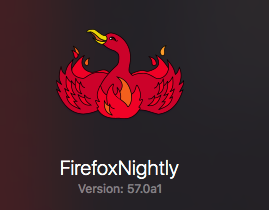 Reminder: Updates to 64-bit begin in FF56, so you can look for that on Nightly now. We have pulled the Update Agent (which continues the download of the update file in the background) from 57. Earliest it would be now is 58. To support onboarding, we’re adding an option for users to clean up their profile if they’ve had an old version of Firefox installed before. This is aimed for 57. Carl Corcoran (ccorcoran) and Gabriele Svelto (gsvelto) are close to landing CFI-based stackwalking support. We’re going to block 3rd party applications that use our accessibility APIs. …and addressing an issue with early injection (confidential bug due to security). Doug Thayer (dthayer) is working with mystor and smaug on how to make the BHR dashboard more useful. This is part of the “BHR Taskforce” with DOM. The Form Autofill bugs fixed this week were mostly about credit card support, sync, l10n, pref refinements, US split telephone fields and performance. Intermittent browser/extensions/formautofill/test/browser/browser_update_doorhanger.js | Uncaught exception – undefined – timed out after 50 tries. [Form Autofill] Support two fieldDetails array for Address and Credit Card feature in FormAutofillHandler. Mobile Marketing Automation using Leanplum will be enabled on Firefox for Android 56 beta. We’re very close (and on track!) to our feature-complete target date of August 7th. There are still a few key things incoming, but we are starting to shift towards bug-fixing and polish instead of adding whole new features. A patch to switch the tab strip to using CSS smooth-scroll (and eliminating some sync reflows in the process), has been reviewed and is waiting for the merge before landing on central. A patch to switch to the next tab earlier when removing a tab is waiting for review, and should shave a few milliseconds off of tab switch time. mconley is starting to work on a patch to “warm up” tabs speculatively when we think we’re going to switch to them. We’ll be adding support for pocket and screenshots there soon. Mike updated the history portion of the library button to declutter it and show more history items. The overflow panel is now much prettier! The Save to Pocket and the Bookmark animation landed. Reminder that you do not need to sign up for an account to use Pocket, just click through the tutorial and it will start letting you save pages to Pocket. New arrow-panel animations are up for review, looks like all test failures are now fixed. Johann increased the size of all Photon-style menus when accessed through touch. Dao updated the tab strip icons and threw away a lot of PNGs. And a lot of small fixes and tweaks, such as fine-tuning the Windows accent color text, sharper sidebar tree icons, correctly sorting the UI density options, coloring the titlebar in Mac OS customize mode, fixing the identity block hover state and much more. Going through P3 bugs for the 56 release and working on them. Accessibility bugs wasn’t an original requirement but we have decided to make them high priority P3s. Will uplift to beta as they being completed. Copy for the 57 release has been confirmed – we’re just waiting for illustrations. WIP patches ready to be have the illustrations put into them. Performance section on Preferences was found to have confusing behavior because of how e10s rollout changes user default. Bug 1382649 landed and was uplifted to beta last week to deal with it. Preferences Re-org and Search received signed-off w/ YELLOWs. Work to address the remaining issues started last week. Most of them are addressed before Aug 2. The new organization with search has been enabled in 56 to ride the trains to release! Photon Preferences patches are being worked on right now. Should have everything landed or in review by Aug 7. Holding off a couple of days to land site permission management in preferences in a new dialog in 57, with a few follow-up bugs already filed. Working on a new onboarding experiment around better Tracking Protection UI. The Places connection shutdown now uses an Async Shutdown Blocker instead of a custom notification. This allows to simplify the History expiration code, that should soon move to idleDispatch. Autofill address sync is coming in 56. Landed, but pref’d off for now. Bidirectional bookmark sync is coming to iOS! Please follow the meta bug if you’re interested. The history engine now uses Sqlite.jsm to query Places, and PlacesUtils.history.insertMany, instead of hand-rolled wrappers that spin the event loop. Thanks to contributors Santiago Paez and Luciano Italiani! Bookmark validation is now enabled through early betas. Please report any perf regressions you see when syncing bookmarks. Edouard made Sync UI startup lazier and snappier. Firefox Screenshots continues to improve in Beta. We will launch in 56 with a small percentage of people and roll out the feature over a few weeks. Please don’t remove support for Android 4.0.4 . Don’t remove support for Android 4.0.4, please. 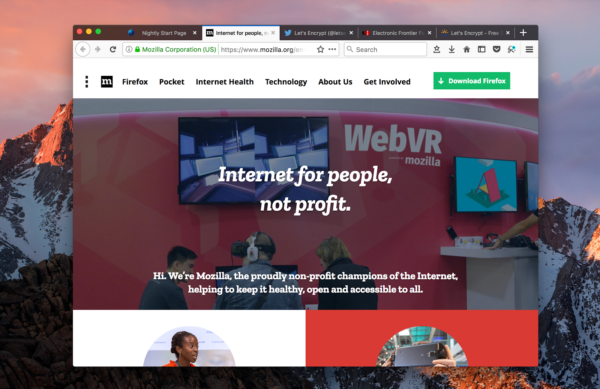 Please see the first Christina post for info… on why I can’t use the Firefox Nightly update channle Nightly. windows 10 creators update I use. Because I can’t get Firefox Nightly update channle Nightly to work on my windows 10 creators update. And I wanted the leastest verson of Firefox which is 57. And I wanted to send in crashes to if I find any. Please if there is away to have a choice… if you want rectangular or curved tabs please make that a choice. Or at least away to get back the… curved tabs because me too… the rectangular tabs are too pointy for my tastes. 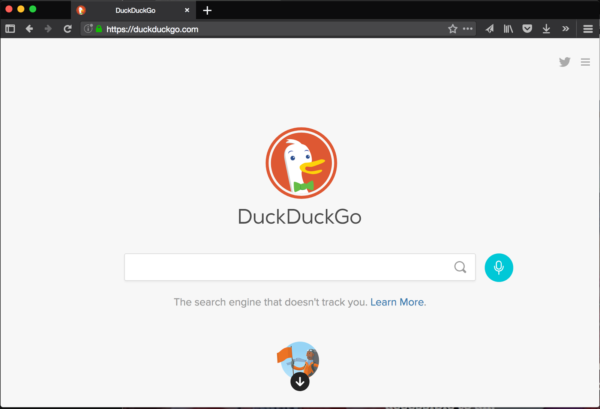 the new icon in nightly 57.0a1 (2017-08-12) is really ugly (on the desktop). What happened to the animation on the Reload button? Please bring it back. the blue icon was the best for nightly, it was beautiful, modern and user friendly, but unfortunately they replaced it with childish and ugly icon(s). as you know the Windows 10’s taskbar is black and the flame bird icon is almost invisible on it. So it’s hard to see that.